At the end of every yoga class, the teacher cues you to breathe normally and asks you to relax your entire body. He or she is preparing you for the most important pose of a yoga practice, Savasana. 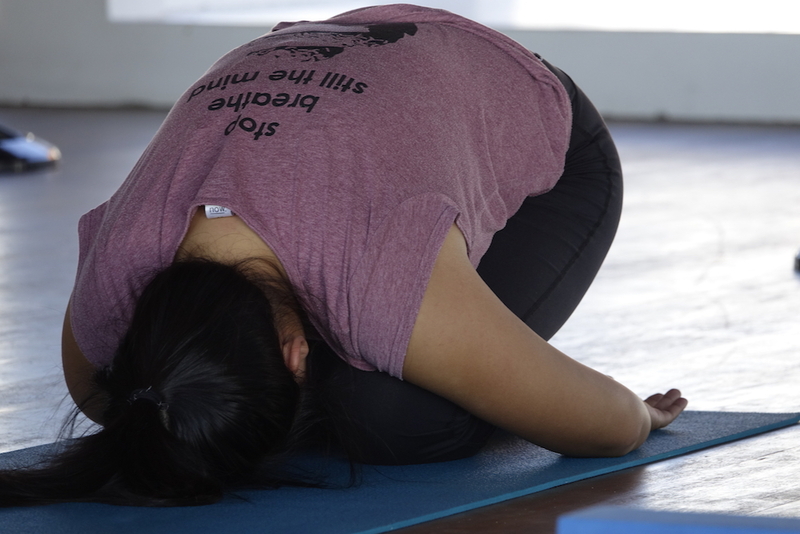 This pose is an opportunity at the end of every yoga practice for our bodies to rest, to embrace the practice, and for our minds and bodies to heal in stillness. There’s a reason why it’s the closing pose at the end of every yoga class. We live in such a fast-paced world. We run on “go-go-go” mode, especially those of us in the West. We rush from one place to another, we eat really fast, we talk really fast, and when we finish something we immediately move on to the next thing. We often find it really hard to rest and relax. I know so many people who need a vacation from their vacation because they fill up their holiday time with one activity right after another. Where does the “rest and relaxation” happen? I too, have had many experiences where I didn’t know how to relax. I would feel unproductive when I tried to “rest” and often guilty for being so unproductive. So then I do things to keep myself busy, because, what else am I going to do with myself? I read an article on Yogi Times recently called “Taking your Grief to the Yoga Mat“, and love a particular part, where the author shares, “…I lay in Savasana and rested in a death-like pose. It occurred to me just then, that we rest at the end of activity, we restore ourselves and receive the full benefits of our effort. I experienced a calm and quiet and then I noticed that the nothingness and stillness I experienced to be enough.” Stillness is enough. How powerful is that insight?! One year later, I returned to saigon om’s training to complete Module 1. Why am I back at the training I spent 200-hours completing last year? I’m doing it again because even though I’m a “yoga teacher”, there’s always so much more to learn. 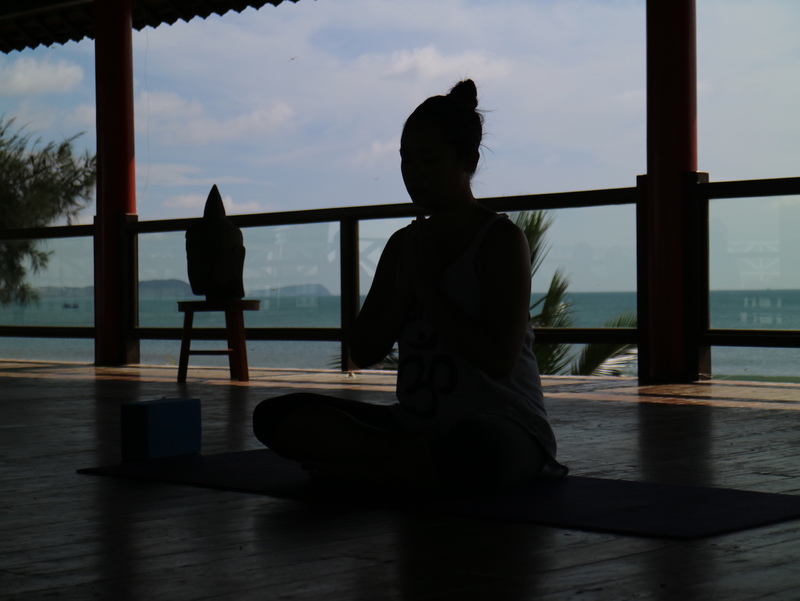 The practice of yoga and mindfulness, the practice of understanding yourself, is a never ending journey. You don’t simply complete a month’s training and become a guru. I thought practicing for a week with them would be an excellent opportunity for me to deepen my practice, connect with a Sangha (community of like-minded people), and reflect on the past year of practicing, teaching, and traveling. Just four days into the training, for the first time ever, I cried while laying in Savasana. The day started out with me being quite agitated and distracted. I couldn’t really focus, every little bug and noise drew my concentration away. And then we had our afternoon inversion practice. I came out of these inversions finding myself incredibly grounded and calm. That’s the power of inversions, they can be extremely meditative! You’re upside down so there’s not much you can think about or focus on other than your breath. This article was originally published on Victoria’s blog, victakes. Photos by Hang Nhan of saigon om.